Dr. Matt Goldschmidt is a Cleveland, Ohio cosmetic surgery expert who is well-versed in face lifting techniques. Whether the patient is a victim of gravity, heredity, or sun exposure, aging and sagging skin is a common problem. 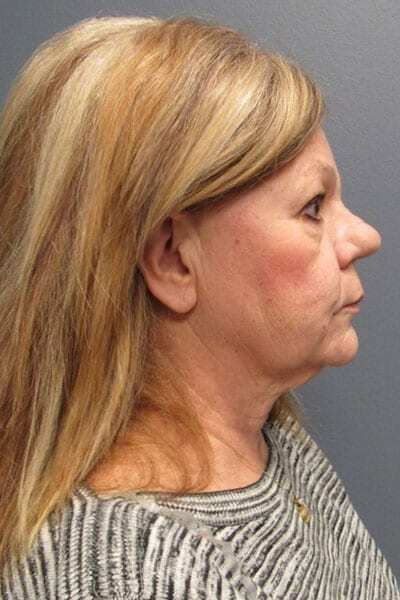 A full facelift, or a rhytidectomy, is performed on patients who wish to get rid of wrinkles loose skin in the lower face, mouth, jaw line, and neck. Though stretching the skin was once a universal approach, surgeons have developed new methods which call for multiple small incisions. Facial and Cervical (neck) Liposuction is also performed at the same time to help sculpt the face and neck to help improve the result. This also helps reduce bleeding and post-operative discomfort. Dr. Matt Goldschmidt is a Cleveland, Ohio cosmetic surgery expert who is well-versed in face lifting techniques. The patient’s unique needs and preferences determine the method utilized during the procedure. The largest incision begins in the hair line just in front of the ear and ends behind the ears. A small incision is also made under the chin to help rejuvenate the neck and area under the chin. All full face lift surgeries are performed while the patient is under twilight or general anesthesia. The operation takes a few hours to complete. 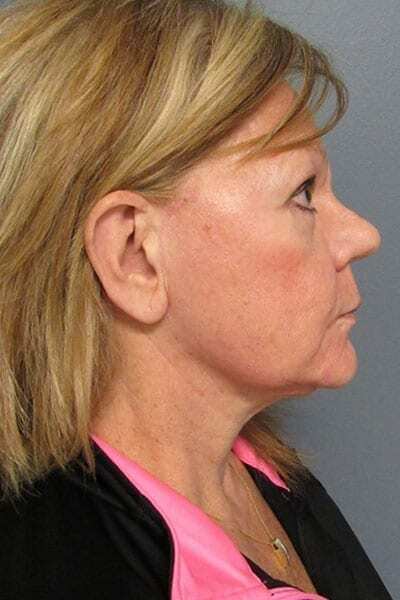 The resulting scars are well-hidden under the chin or appear like a natural crease in front of the ear. The incisions behind the ear can be easily hidden by your natural hair growth. With a single successful surgery and recovery period, the patient’s face can be restored to an appearance of natural youthfulness. The long-lasting, gravity-defying effects of this rejuvenating operation have made it one of the more popular cosmetic surgeries in Ohio. The modern procedure allows for minimal recovery time. The initial recovery period usually takes 3-5 days. During this time, patients will likely need pain medicine regularly and will have to care for the incisions. The patient can expect to look 5-10 years younger than their chronologic age. Bruising will occur for the first 3 weeks, while swelling will not go down until 6 weeks after surgery. Patients may usually return to work within 2 to 3 weeks. For more information about Facelift or to schedule your Facelift consultation with Dr. Matt Goldschmidt, please call (216) 350-3175.